Our roots are deep in North Dakota – having started here in 1947 – and we are the state’s largest manufacturer, with three North Dakota production facilities. 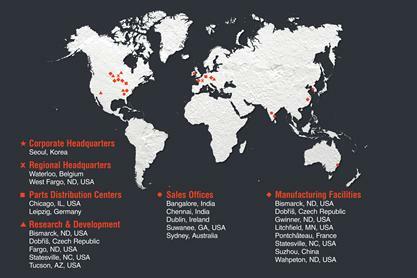 Global Bobcat manufacturing facilities are located in France, Czech Republic and China. 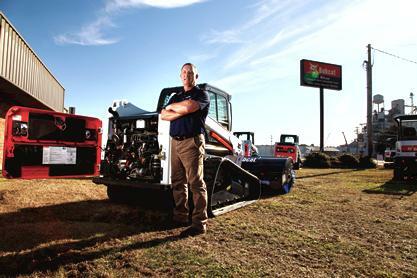 The renowned Bobcat brand — ours since the name was first used in 1962 — is synonymous with durability and dependability. 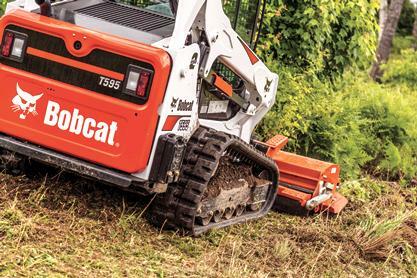 Tough, versatile, agile Bobcat® equipment — with its time-tested reliability — has rightly earned the nickname “One Tough Animal.” Bobcat Company continues to be committed to delivering the industry’s best compact equipment. Bobcat Company has the most extensive compact equipment distribution network in the world. Some 1,000 independent Bobcat dealers back each and every piece of Bobcat equipment, serving customers thousands of local sales, service, parts and rental specialists. Bobcat dealers are known for their dedication to providing outstanding customer service to ensure long, reliable equipment performance.